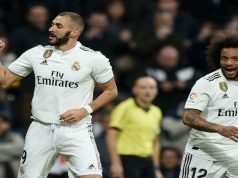 Karim Benzema came to Real Madrid’s rescue in a difficult math for Los Merengues, who had to come from behind at Bulgaria, against Ludogorets. The Frenchman came in from the bench to score a goal that puts Real atop group B after having won their first two games in the Champions League. The hosts took a surprising 0-1 lead after just seven minutes of play. 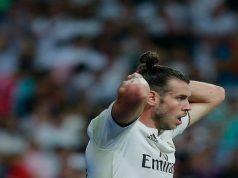 Los Blancos made another mistake defending a corner kick. The cross was flicked on by Cosmin Moti and Marcelinho headed it home into an empty net at the back post. Madrid were surprised by the intensity of the Bulgarians, who dominated the first minutes. Los Merengues seemed desperate, especially after Cristiano Ronaldo missed a penalty kick before the 15 minute mark. However, the Portuguese would redeem himself ten minutes later. The referee made a doubtful penalty call and Ronaldo made no mistake this time, firing a shot to the bottom corner. Chicharito Hernandez missed to clear chances to put the visitors ahead before half-time. He sent a header straight to Vladislav Stoyanov after brilliant play from Marcelo, and minutes later he swept a shot across goal that seemed to be heading in, but bend wide of the post. The Mexican also had a great chance in the second half, after a superb counter-attack from Los Merengues. However, he failed to direct it on goal. Ludogorets were threatening Iker Casillas with long-range shots, but Real efforts were more dangerous. Aleksandar Aleksandrov made a goal-line clearance when Ronaldo was celebrating his second goal. After almost 80 minutes of suffering, Benzema netted the winner off a brilliant cross from Marcelo, and the Madridistas were relieved.